Hello Friends, I hope you all are the great. Today, my article is dedicated to those people who love the adventurous Off-road trip with family or friends like me. I am telling you the story of that American brand which is famous for its Sports utility vehicles and off-road vehicles. Now it is the part of Italian-American group FCA (FIAT CHRYSLER AUTOMOBILES). I am talking about your favorite brand JEEP Wrangler the Ultimate SUV. I have seen the Jeep Fever in all age group from my childhood to till now, like many kids want the Jeep toy on their Birthday and the teenagers or adults have the dream of this fantastic SUV for their adventurous trips. In 2019 Jeep Wrangler also got the Crown of Motortrend SUV of the Year. Do you know the meaning of the word “JEEP”? Some people are saying, Jeep name is belong from those vehicles which are suitable for use on rough Terrain. Another story is that prior to 1940 the term JEEP had been used as U.S army slang for new recruits or vehicles, in 1941 this is the time of world war when first time name JEEP specifically tied on the light military 4X4 vehicles. Jeep launched its first civilian jeep in 1945 the CJ now this model has converted into Wrangler. Other famous model of this brand is Wagoneer, Cj-5, Grand Cherokee and Compass. When the word Wrangler come in the people’s mind then they imagine only one thing solid axles and open top. But in 2019 Wrangler you will get 5 models Sport, Sport S, Sahara, Rubicon and Moab. All are come into 2 Door and 4 Door variants. Engine: Engine is loaded with 285-hp 3.6 Liter V-6 engine with 6 speed manual and 8 speed automatic transmission. With this new Turbo diesel V-6 it produces around 440 lb-ft torque. The fuel economy is ratings between 17/25 mpg city/highway. Exterior : 2019 Jeep Wrangler again keep its heritage of iconic classical round headlamps including day time running light , seven-slot grill at the front as well as full-size spare tire and “bolt-on”- look tail lamp at the rear. But if you take the close look then you will find the improvements in it. By considering the all-weather capabilities and off-road driving experience, it is designed as removable Top, removable Doors and removable wind shield which gives you true experience of open air and off-roading. From the side you will get the aggressive look body –color fenders on both SAHARA and RUBICON MOAB while rugged black fenders are standard for both SPORT and RUBICON .Turn signal have been mounted on the fender flares. Lower section of bumper can be remove for more ground clearance. The 18-Inch x 7.5-Inch alloy wheels in SAHARA and 17-Inch x 7.5-Inch other models increase its attitude and power. Interior: You can also get the adventure in the inside of 2019 Jeep Wrangler where leather wrapped Steering wheel and leather seats gives you stress free driving experience. Alpine 9-Speaker Premium Audio System with 5-Inch or 7-Inch Uconnect system display including Sirius XM Satellite radio entertain and guide you in long drives. So this is your favorite Jeep Wrangler 2019. If you like this article then Share it and follow us on our facebook page dwheelsblogspot.com. If you don’t like it then please comment it in comment box for improving more. 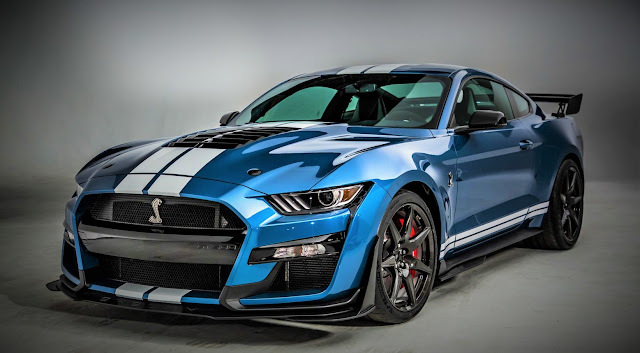 Ford has launched its most powerful Street-legal ever "The 2020 Mustang Shelby GT500"
Ford has launched its most powerful street-legal ever "The 2020 Mustang Shelby GT500". 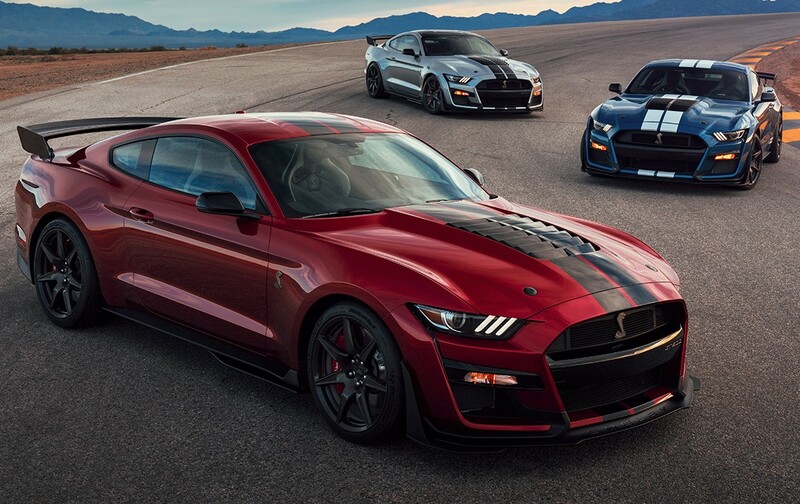 New Shelby GT 500 is coming this fall to join its Shelby GT350 stablemate, Shelby GT500 is engineered to attack on all fronts with new colors for 2020 include Red Hot, Twister Orange and Iconic Silver. Painted stripes are available for the all-new Shelby GT500 too. Under the hood you will get a supercharged 5.2-liter V8 engine producing more than 700 horsepower with the help of a 2.65-liter roots-type supercharger with air-to-liquid intercooler inserted neatly in the V8 engine valley and helps to keep the intake air cooler and deliver a lower center of gravity which Capable of in less than 3 second hit the 0-60 mph and sub-11-second quarter-mile scores, Shelby GT500 features the best Mustang track times, the best cornering and the largest brakes of any domestic sports coupe due to technology transfer from Ford GT and Mustang GT4 racing programs; this includes a segment-first dual-clutch transmission. Its TREMEC 7-speed dual-clutch transmission, can shift smoothly in less than 0.1 seconds - faster than any manual gearbox. The dual-clutch transmission is designed for a number of drive modes, including normal, slippery, sport, drag and track, and features line-lock and rpm-selectable launch control through selectable Track Apps. Visually there is lot of change you can see in it, muscular hood design has inspired by modern fighter jet aircraft. New engine require 50 percent more air flow to engine, Therefor large angular grille openings you can get and Shelby GT500’s aero-led design increases down force and thermal management, while Ford Performance race-tuned active chassis drive modes make this the most advanced performance Mustang to till date. Labels: Ford has launched its most powerful Street-legal ever "The 2020 Mustang Shelby GT500"
Bugatti always surprised us every time with its speed, its craftsmanship, its dynamics or many more. In 2019 Geneva motor show Bugatti got the crown of la voiture la plus chère du monde jamais vendue (world’s most expensive car ever sold) for its model La Voiture Noire “The BLACK CAR” in nearly $19 million. It is runs with its 16-cylinder, 8 liter engine which produces a power of 1,103 KW/1,500PS and 1600 newton-meter torque. It has been revealed by President of BUGATTI Stephan Winkelmann. The Bugatti La Voiture Noire has been custom-built to memorialize the brand's 110th anniversary. It is the tribute to Jean Bugatti’s masterpiece Type 57 SC Atlantic Coupe .It is the perfect appearance of BUGATTI’s cornerstones: “dynamic, luxury and elegance”. Atlantic have the legendry history, you will also enjoying while reading it. Only four handcrafted Atlantics were ever made. The first one was built in 1936 for British banker Victor Rothschild in greyish blue colour. Today, the cars is known as the Rothschild Atlantic with the number 57374. The third Atlantic was delivered to Frenchman Jacques Holzschuh. Forth Atlantic to be delivered to Fashion designer Ralph Lauren .From these four, the Jean Bugatti had the second Atlantic built for his own personal use, was finishing it in a deep black.That’s why we have seen the name La Voiture Noire and colour in Geneva 2019 motor show. These Three remaining Atlantic are among the world’s most expensive and desirable classic cars. Whereas Jean Bugatti’s personal “La Voiture Noire” has the greatest mystery in BUGATTI’s History. It is thought the car disappeared during the World War II, sent to the safe place before the German troops invaded Alsace. With the new “La Voiture Noire”, BUGATTI has brought his legend from the past to present. Do you believe internal combustion engines are the “Dead man walking” or will the EV’s (electric vehicle’s ) take the place of Internal combustion engines? Do you believe electric cars are the future of us? Many countries are making the law to replace the all internal combustion engine to electric. So all the big automakers R&D team move there focus towards the developing of the more efficient electric vehicle. If we are searching the best electric car manufacturer in the world, then the first name come into the mind is TESLA. This American automaker ranked as the world’s best selling plug-in passenger car manufacturer in 2018. Roadster, Model X, Model S are the most popular and expensive model. In these days The Model 3 by Tesla comes in the Limelight through all around the world because finally they set the new price $35,000. The most economical price ever set by Tesla and with its best performance. Tesla Model 3 is designed to be a safest car in its class, loaded with dual motor All Wheel Drive system made by Aluminum and steel body having coil suspension and “Full Self-Driving capability”. In a roof-crush test, Model 3 resisted four times its own mass, even with an all-glass roof: that's the same weight as two full-grown African elephants. Tesla claims that in a single full charge it covers 354 km of range, Carbon fiber spoiler improves its aerodynamics and stability at high speed allowing it to accelerate 0-60 mph in 3.2 seconds and hit the top speed of 162mph. Even the lower in cost, it achieved the same perfect 5-star safety rating as the longer-ranged version, which has the lowest probability of injury of any car ever tested by the U.S. government. Hey friends, today I brings the story about that company whose slogan is Vorsprung durch Technik meaning “Being Ahead through Technology” it seems true, when I have seen its day by day improved headlights and its quattro technology. This is the four rings company The “AUDI”. Auid’s innovated headlamps always attracts me and caught my eyes towards it from that time when I was kid. 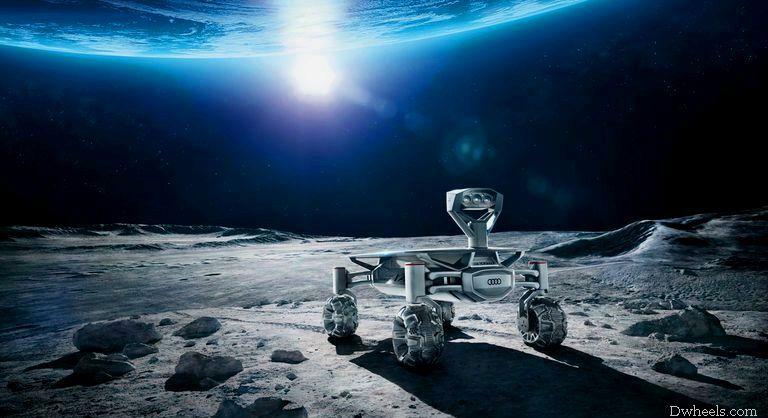 In my last article about Audi I had discussed, it will be the first automaker which lands on the moon surface. But this time I have the story about its car which is made for our Earth. Yes I am talking about the Audi’s new model “Audi A7 sports back. You will get in new A7 sports back the design, technology and the last thing my favorite Audi’s innovative headlamp or taillight technology. 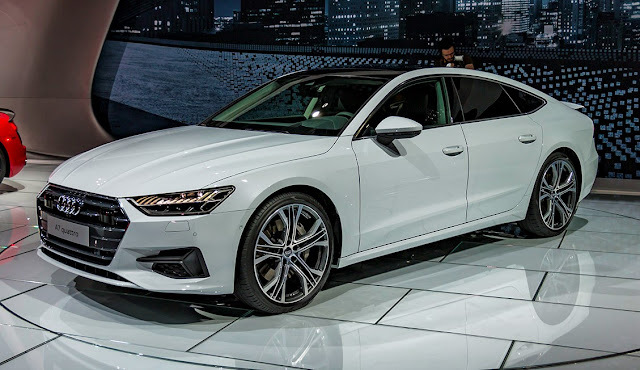 Audi A7 sportback is the new era of design which runs with Quattro blood. 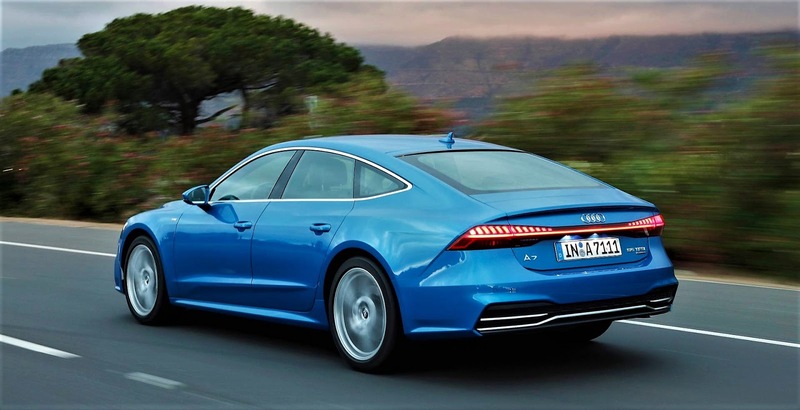 When you look at the A7 sportback from any angle, you will appreciate it as a design and style. Change is that thing which we always need in our whole life. As a human, we feel bore from same thing after some time. Carmakers always try to entertain you by changing their stuff time to time. In this article I am discussing about the automaker started in 1911 from Detroit, Chevrolet is car brand, selling more than 4.0 million cars and trucks in a year. This time Chevrolet did this for you by changing many things in their best model Camaro. Yes you can see the many change in all new 2019 Chevrolet Camaro. The Camaro’s updated designs are not only striking but also performance improved. You can see the change in design from front to back. At every Auto Show, Concept car segment attract me more as compare to others. I find the futuristic plans of these automobiles companies in this segment and explore some unique concept cars which have some different looks and technology. Pollution increase day by day on our blue planet and automakers always spending lot of amount on their R&D programs to reducing carbon contents .So in these days electric vehicles attract everyone towards it. In the Beijing at “Auto China 2018” Mercedes-Benz attract me for its new concept the “Vision Mercedes-Maybach Ultimate Luxury”.First of all you must watch its official video by Mercedes. Everyone is still waiting for first-ever SUV Cullinan by Rolls-Royce, which is still on its testing stage .Usually testing of any car conducted under the confidential conditions, but first time in the history Rolls-Royce testing the Cullinan openly, I love the Rolls different style. With the blend of all-wheel drive capabilities and its aluminium space frame the pinnacle of luxury travel, Cullinan is ready for everything and able to take you anywhere. You can watch the Cullinan in action in this video . This testing is going on under the partnership with National Geographic, Rolls-Royce has embarked on an epic trans-continental journey, dubbed ‘The Final Challenge’. 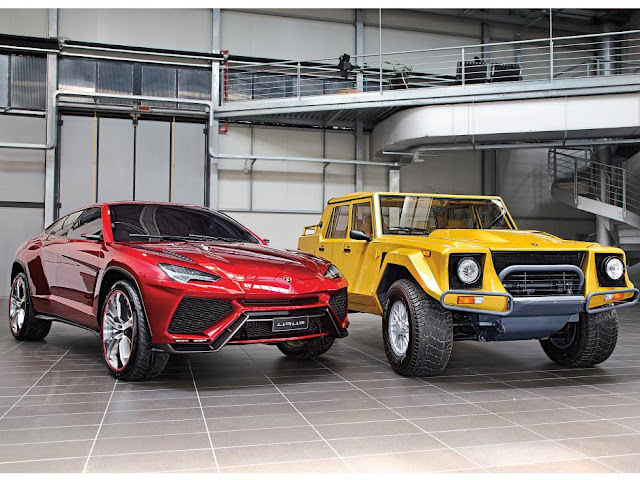 In this phase Cullinan will face the unkind plains of Scotland, the searing heat of the Middle East and the most extreme routes that the USA has to offer. 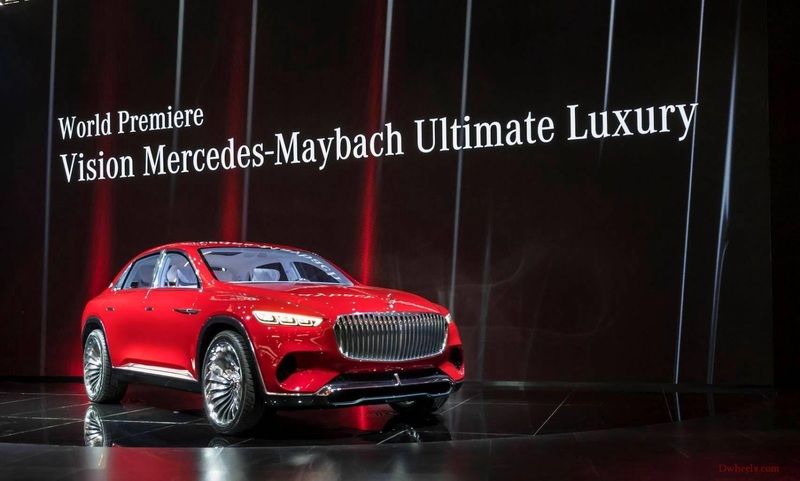 In the 88th Geneva Motor Show, The three-pointed star offers vehicles to suit all you and your family needs. In the beginning their first unveiled was the Mercedes-AMG GT 63 S 4-Door Coupe, which complements the successful AMG GT family. 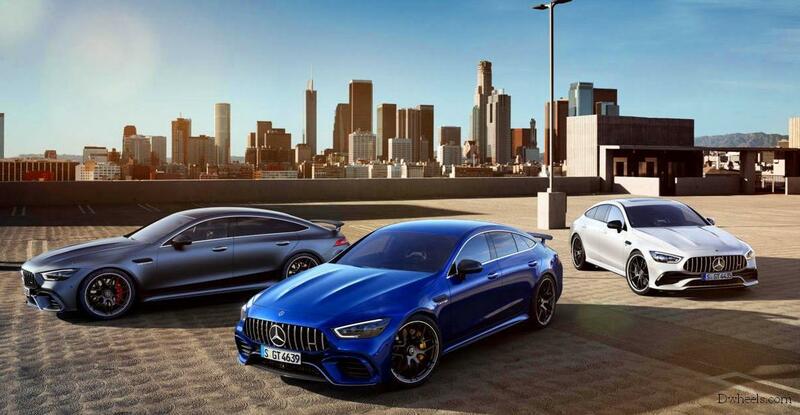 The new coupé is the first four-door sports car from Affalterbach and it belong to the family of legendary and highly successful SLS and AMG GT models. 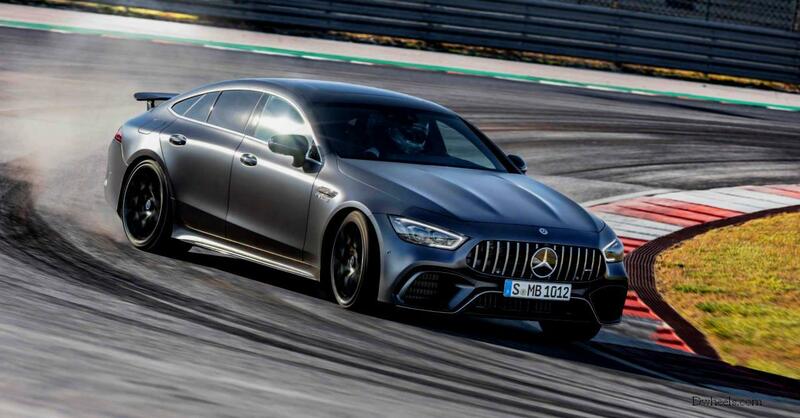 A further vehicle developed entirely in-house by Mercedes-AMG, it is the mixture of unique design, excellent comfort and extraordinary sports car technology with an Massive body, four-door fastback outline.